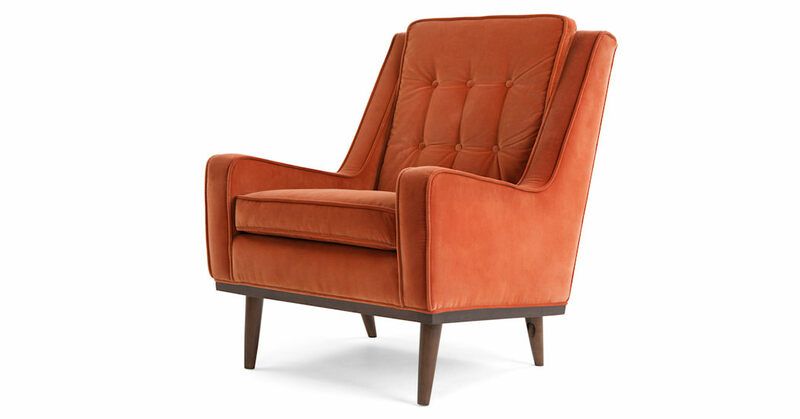 The Scott armchair mixes a striking silhouette with stylish piping and pulled cushion details. Upholstered in statement cotton velvet. Perfectly balanced - the angled back gives this piece an element of relaxed cool, while the piping smartens the impact. Made for lounging with a deep, sprung seat and feather-mix cushioning. With solid hardwood feet stained to a dark finish.